Make the most of your Belgian-style beers with expert advice from the brewers at Ommegang, Allagash and Boulevard. There are a handful of features that differentiate popular homebrew burners on the market today. We’ve put the most popular burner options side-by-side, so you can compare each and decide which is best to meet your needs. Did you ever want to do something just because someone told you it couldn't be done? A comment at a homebrew club meeting sets a homebrewer on a quest to brew an all-grain beer over 20% alcohol by volume. To brew a great stout, you need to know your dark grains. From roasted barley and roasted malt to chocolate and Carafa malts, how to get the right flavor in your roasty brew. Plus: Guinness and Murphy's stouts cloned. Extract brewing is not just a simplified form of all-grain brewing. It's a process that has its own set of challenges. 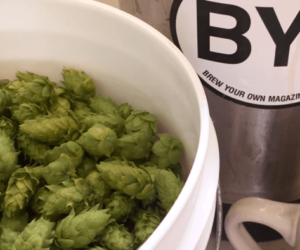 Find out what these challenges are -- and how to master them -- without changing your whole brewing setup or spending a lot of extra time on brewday.